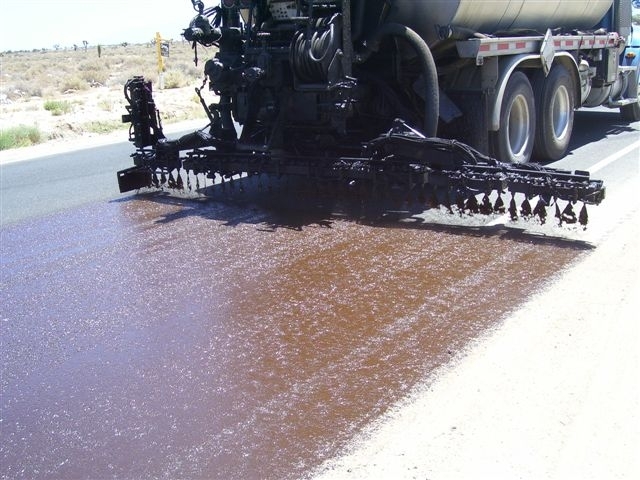 Asphalt emulsions used in fog seal applications contain globules of paving asphalt, water, an “emulsifying agent” or surfactant, and sometimes a “rejuvenator.” Soap is a common form of a surfactant. In washing clothes or dishes, the surfactant helps remove the dirt and suspend the dirt particles in the wash water. Similarly, in asphalt emulsions, the surfactant keeps the paving asphalt globules in suspension until it is applied to the pavement surface when the water in the asphalt emulsion starts to evaporate. A “rejuvenator” is an asphalt additive which when applied to the existing pavement will slightly soften the pavement it is applied to creating a better bond. Why? As asphalt pavement is subjected to traffic loads and ages, it oxidizes and cracks develop in the surface due in part to the pavement becoming more brittle. Oxidation is one of the reasons asphalt concrete pavement fades in color from the deep, rich black color everyone remembers from when the road was constructed or last resurfaced. Fog seal applications serve to seal narrow cracks, slightly restore lost flexibility to the pavement surface, provide a deep, rich black pavement surface color, and most importantly help preserve the underlying pavement structure. When? On existing asphalt pavement, fog seals are typically applied on either an intermittent or cyclical basis. 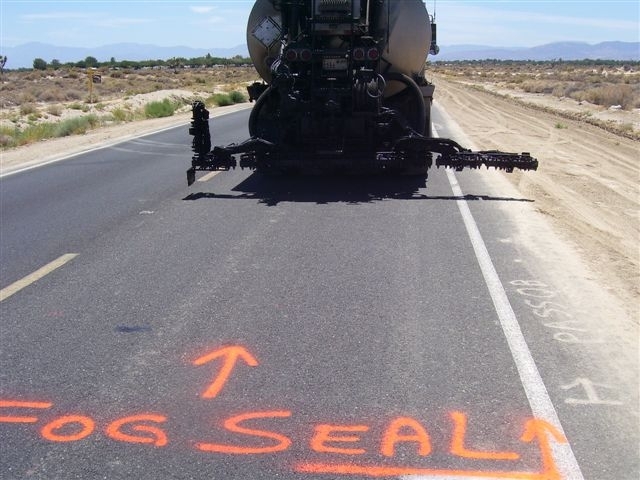 Location, weather, traffic loading, and pavement conditions are factors used to determine if a fog seal application is appropriate. Roadways selected for fog seal treatment are commonly those which have minor cracking, faded color, and where a fog seal would help extend the pavement life until resurfacing becomes necessary. Roadways chosen for cyclical fog seal applications would typically be treated every three to five years. 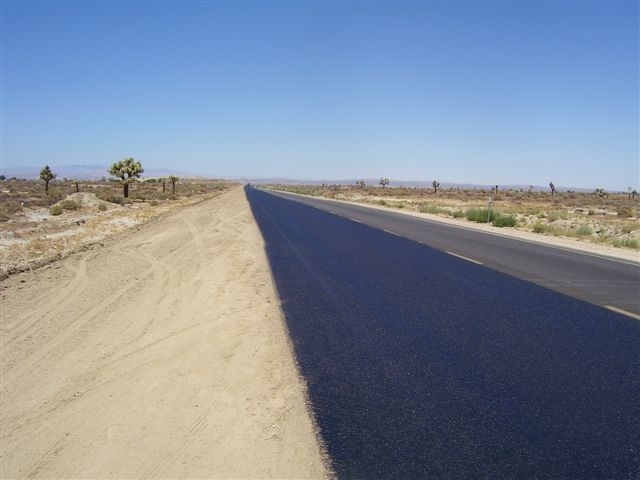 In desert areas, fog seals may be applied to new asphalt pavement to help protect it against oxidation and retain flexibility. How? Fog seals are applied by a distributor truck. The distributor truck slightly heats the asphalt emulsion before spraying it onto the pavement. Once applied the surface has the appearance similar to the pavement having been spray painted black.